It won’t be long until the Roaring Twenties will have come full circle, but Georgia’s speakeasy scene is celebrating early. Throughout the state, you’ll find these Prohibition-style bars that offer a vintage vibe in clandestine locations. Craft cocktails, good food, and mellow music will make you want to visit these six best speakeasies in Georgia. 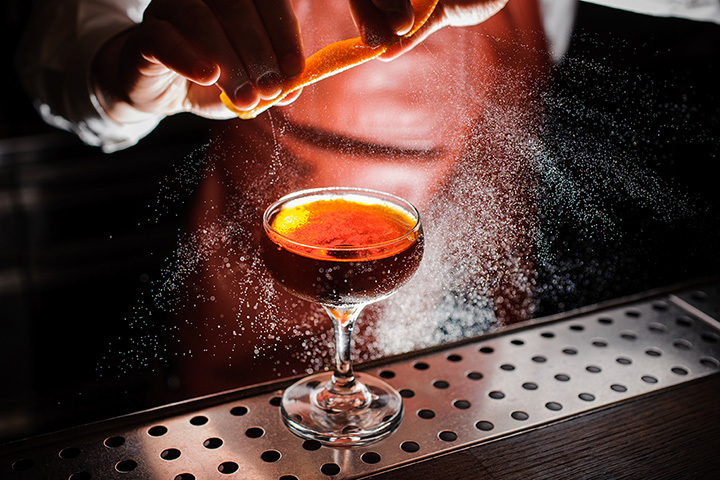 In true speakeasy fashion, you’ll only find this watering hole if you know where to look. Hidden behind a secret entrance, those lucky enough to stumble upon it can expect handcrafted cocktails just like they made in the good ol’ days, along with one of the most laid-back bar scenes in ATL. They’ve also got a craveable selection of local and regional brews you’ll want to try more than once. You’ll need the day’s password if you wish to enter here, but getting it is half the fun. Once inside you’ll want to sip on one of their signature drinks (hello, lavender lemonade!) and soak up the highly detailed environs. Burlesque shows, music, and other entertainment cap off the experience. The name sounds like a library, but don’t be thrown off track. This place is as classic a speakeasy as they come. Much like a home away from home, you’ll appreciate the cozy atmosphere, variety of cocktails and brews, and amazing bar service. Given this place is in Georgia, the undiscerning eye would believe it to be a barbecue place. But the inside tells a much different story and sets high expectations for other speakeasies in the city. Inspired by 1920s decor at every angle, this upscale drinkery excels in handcrafted cocktails and small plates. There is a password required to enter, but it’s well worth the effort. Just like a phone booth, this Prohibition-style speakeasy is a relic of the past. Tucked inside a historic building in Atlanta, the folks here have truly thought of every detail to make this place authentic. A stellar cigar program, hand-chipped ice, craft cocktails, bitters and tinctures, and its nostalgic interior, this place easily rivals the speakeasies you’d find in larger cities. It’s only fair that one of the most historic towns in Georgia also has one of the best speakeasies in the state. This place is steeped in local history and is one of the best examples of what a speakeasy should be. From the tin punch ceiling to the blend of rich woods and exposed brick, it’s the next best thing to living out the Roaring Twenties yourself.